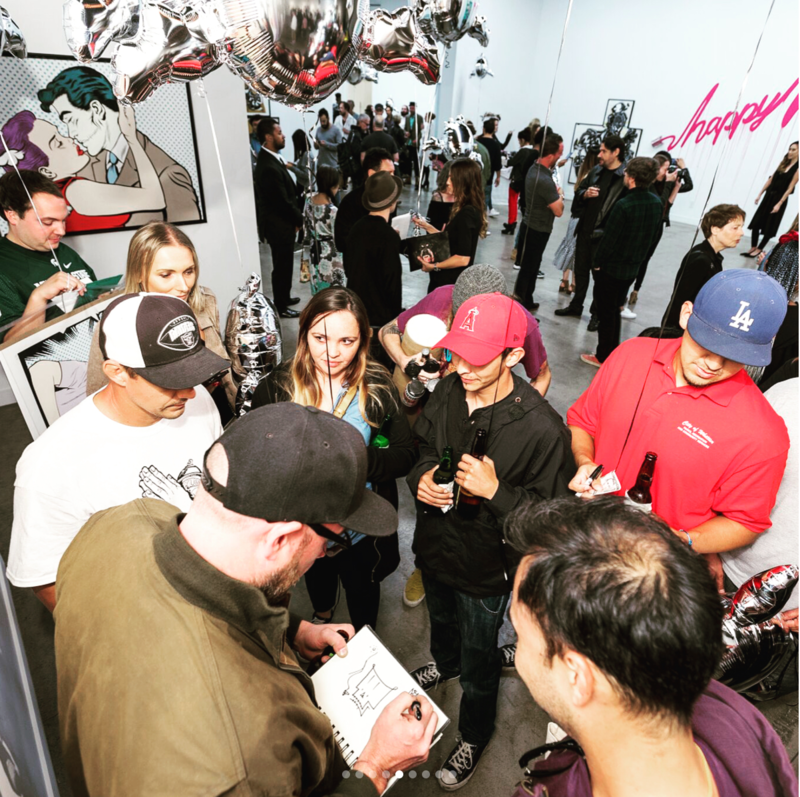 We chatted with D*Face about scalpel graphics, romance, loss, the City of Angels and its noteworthy art spaces. D*Face is the London-based artist whose murals regularly alleviate road rage in Los Angeles and beyond by way of a cast of hardened characters who tell it to us straight. 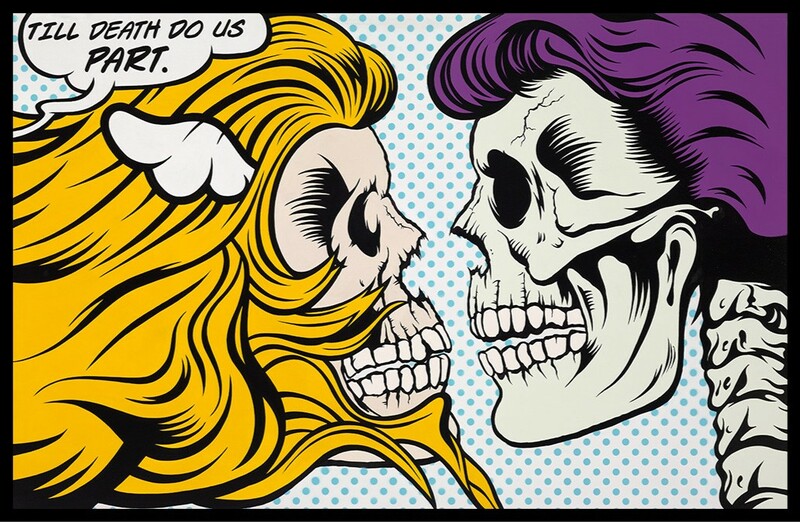 While his hand-painted graphics are unmistakably derived from pop art protege Roy Lichtenstein, D*Face has developed a distinctive narrative of his own demons, fantasies and creative genius. 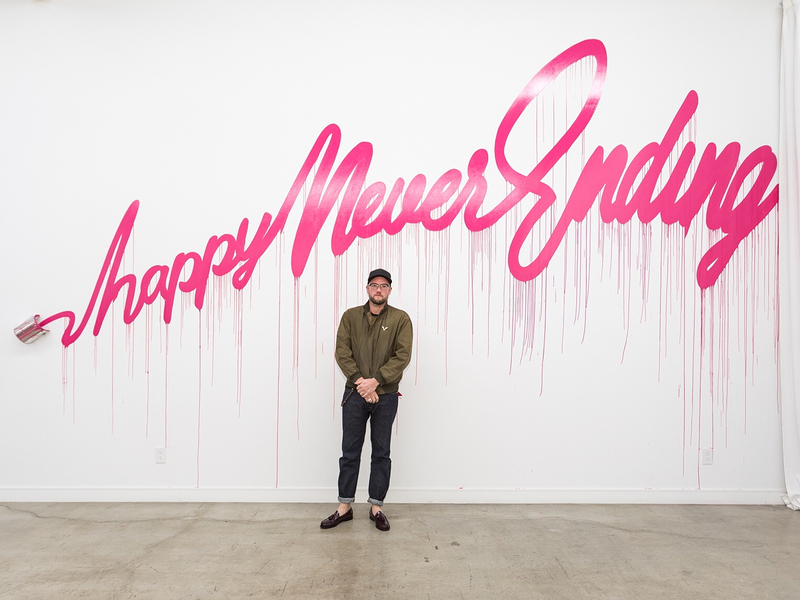 "Love Won't Tear Us Apart"
We sat down with the artist before the opening of his latest and largest-ever solo exhibition, Happy Never Ending at Corey Helford Gallery to chat about his work and his love for Los Angeles. 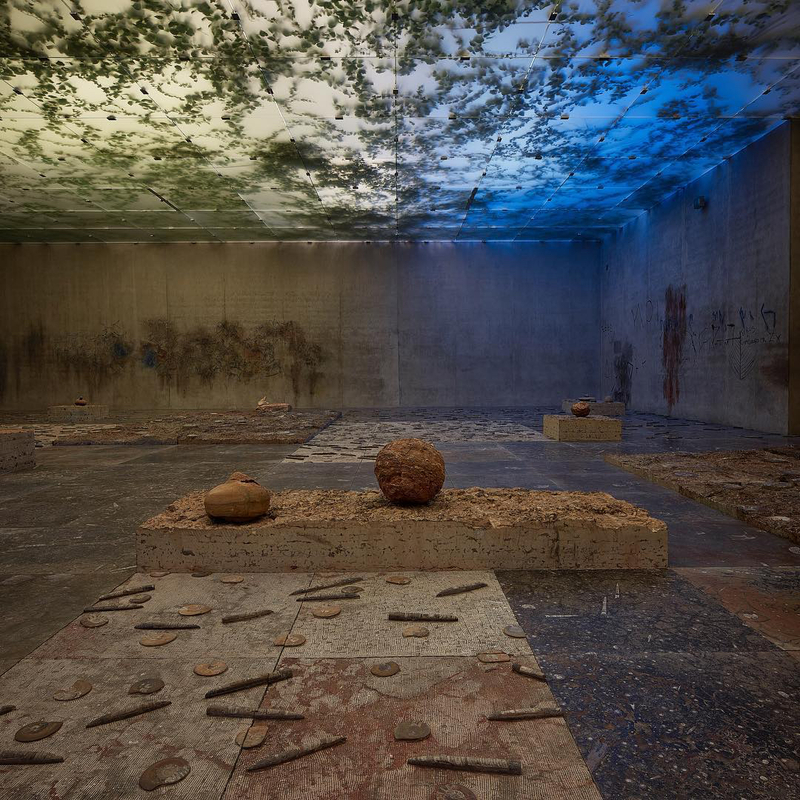 Happy Never Ending will remain on view in Boyle Heights through October 21. 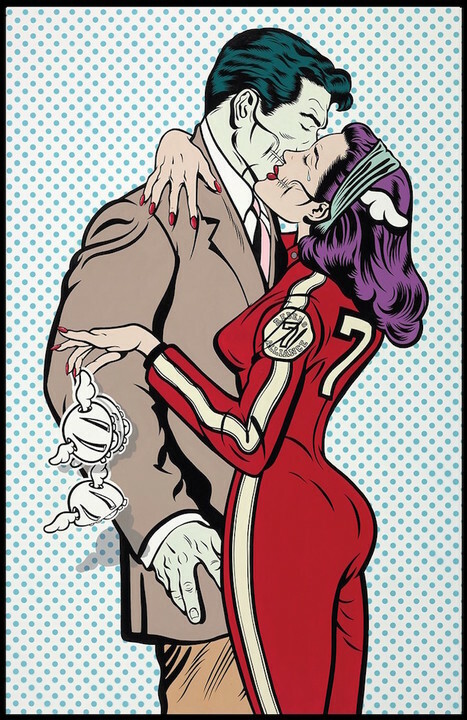 D*Face also recently completed his sixth mural in Los Angeles, Parting Kiss which can be found on the exterior of Six Point Harness in Silver Lake. How would you describe LA to a friend who has never been? D*Face: I mean LA is like home from home for me. I love it here. As a child, my parents couldn't afford to even think about traveling to America, so I used to gaze upon the idea of America and American culture through rose-tinted spectacles. Decades later, I found myself in a position where I could travel for work and California was one of the first places I wanted to come. If I was trying to polite about LA, it's massive blue skies and beautiful weather. It's palm trees and the ability to be on the beach, in the hills, or within the hubbub of the city all within the same place—a rare combination. Elsewhere, you get one or two, but never four or five of those bright elements. If I want to describe it with less frills, it's a giant car park. It's a concrete mess and the prettiest places aren't in the city itself. It's not until you get further out that you start to see the beautiful California culture I have fallen in love with. What was the first mural you painted in LA that still stands? D*Face: My first mural that technically still stands is in Culver City on the side of original Corey Helford Gallery. I painted a piece called "Going Nowhere Fast" and though it's still there,you can't see it because they built a building in front of it and there's only a two-inch gap. The mural is encapsulated like a hidden treasure. It's still there, you just can't see it. 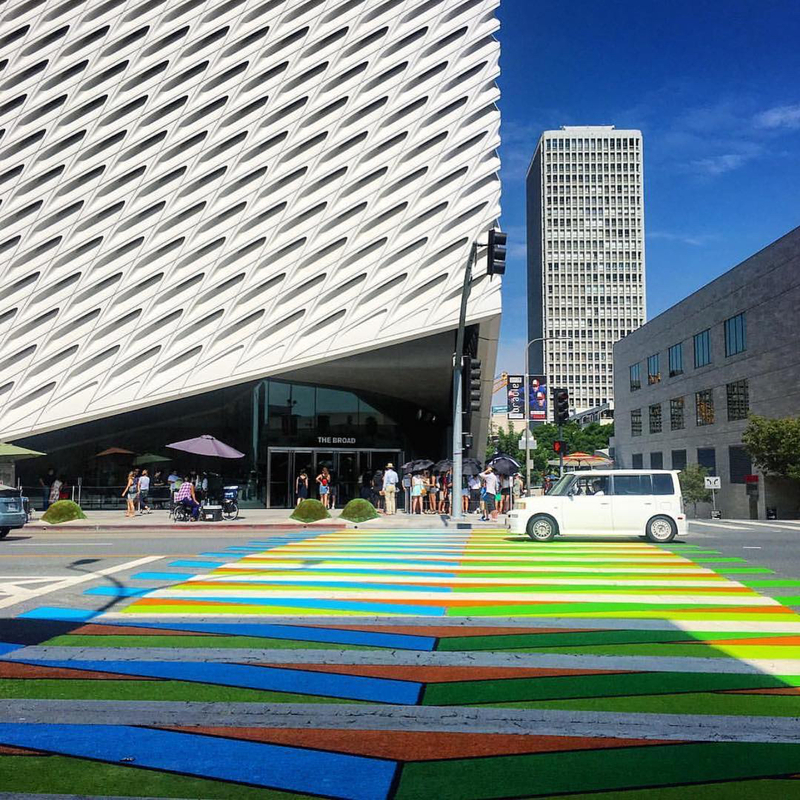 How many of your murals are still on view here in LA? D*Face: I think I have six. Including the new one, "Parting Kiss" it's six or seven. Where do you get the inspiration for the cast of characters you depict? D*Face: All of the narratives live within my own head. They are part of my relationships or from very good friends' relationships, but they're mostly a direct reference to myself—feelings I've had in the past or feelings I'm having right now. The characters, visually, tend to have a serious hair and rock and roll quiff. The women specifically tend to reference my friends and lovers. Visually, I've always been inspired by bold black lines and obviously Lichtenstein (from a pop art point of view), but I always try to imbue a darker, more relevant twist to today's society. Are there any connecting plot points between your murals, paintings and sculptures? D*Face: I have very odd connections between each painting, but not every painting because then I'd have a story between all of them. There are definitely stories connecting some of them where you can see the couple in the same painting and there's a narrative going on. So tell me a little bit about "Happy Never Ending" and your ethos behind it? 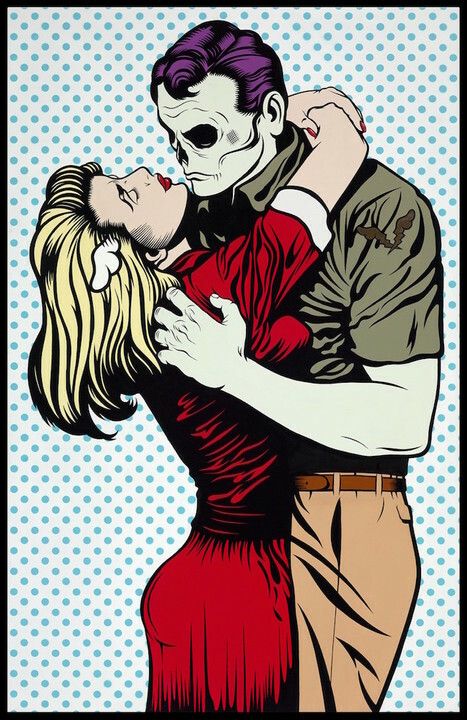 D*Face: "Happy Never Ending" is about romance and love and loss and relationships and the struggle to hold relationships together. It's about the idea of loss in a relationship, whether physical or metaphorical, and how you deal with the person no longer being in your life. It's a bereavement. So I think people see the death part and they think it's a physical death, but it isn't. It's still a bereavement, but that person's not physically dead, they're just no longer part of your life. And that is really relevant within my life and within my paintings. Is it true you're hoping people might bring mementos of past relationships to leave behind at the show? D*Face: Yes. 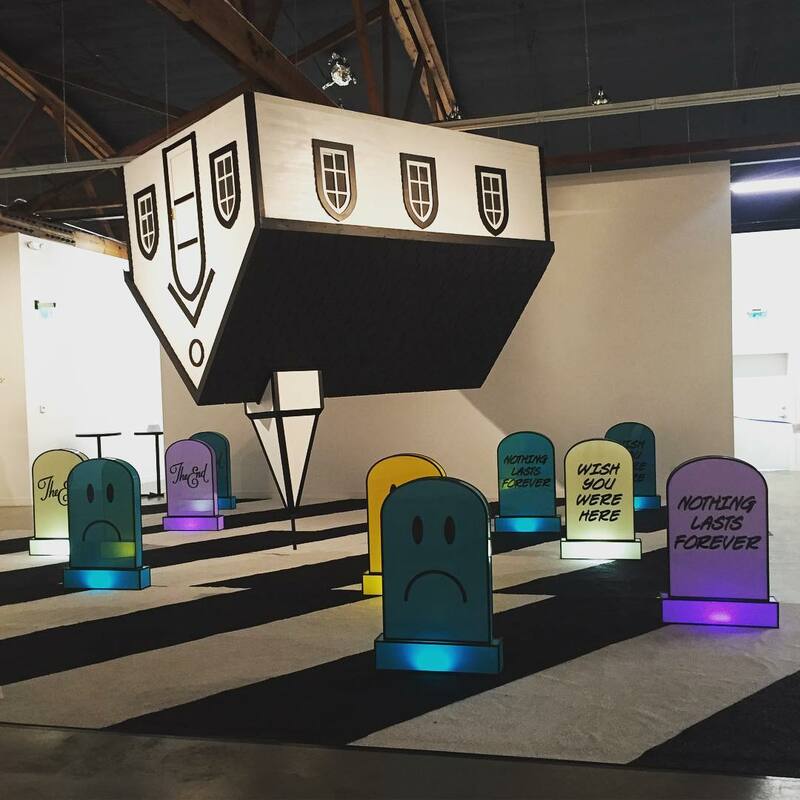 The show has an installation of tombstones within it which are referencing either the happiness of someone passing through and away from your life or the sadness of something not being in your life anymore. I like the idea of people bringing items from past relationships at the tombstones to help them heal and move on. 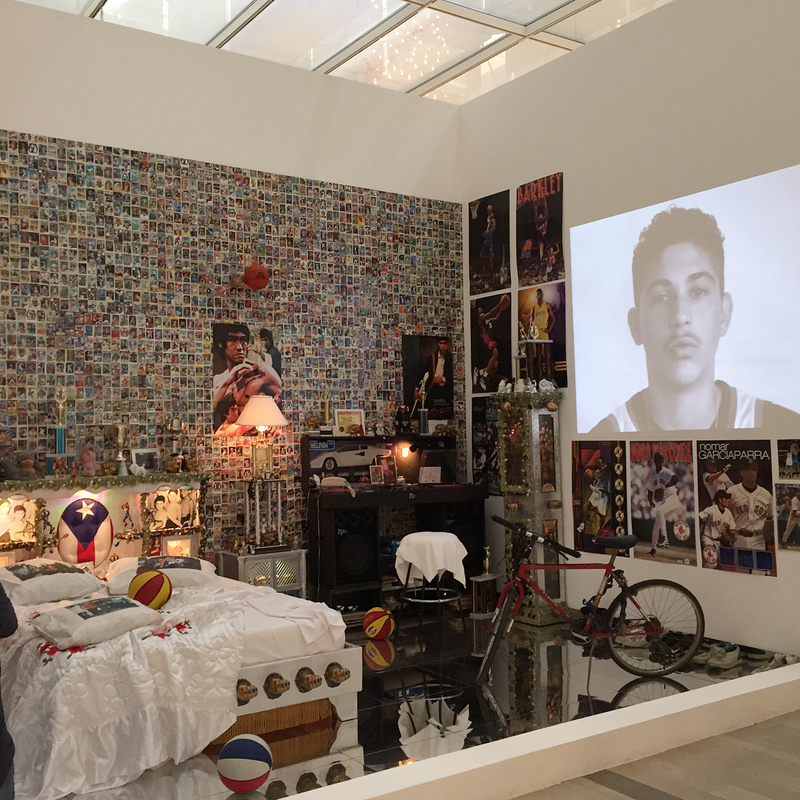 On the flip side, we also have installed a chapel within the gallery, and I've recently been ordained.The ultimate conclusion to the body of work is to make the grandest gesture to romance. So yeah, we're marrying a couple. 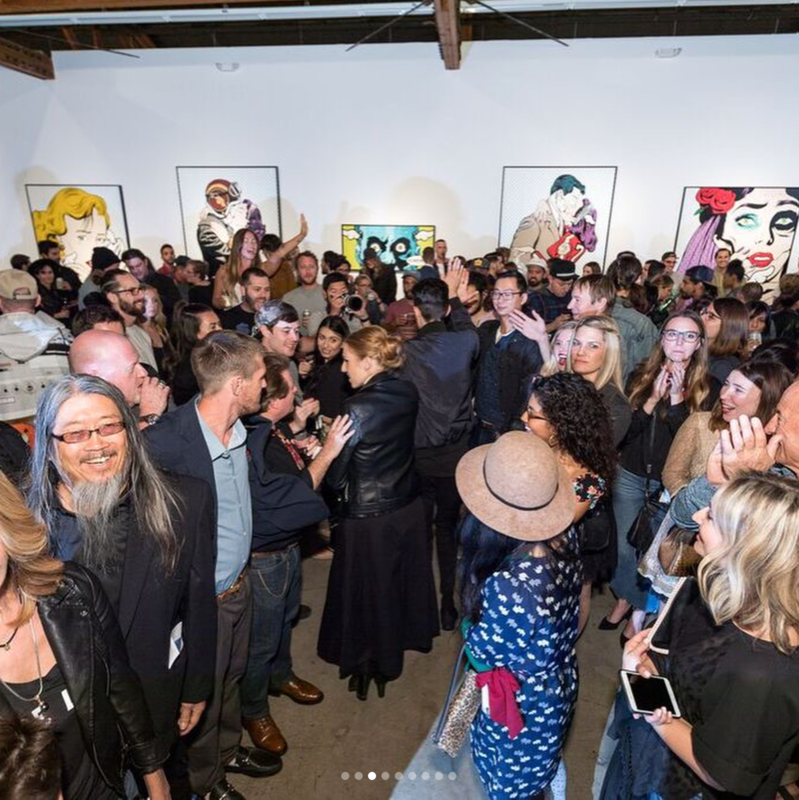 D*Face: It's the best gallery in California. It expressed an interest in my work a long time ago. I first showed in LA with them. I have a great relationship with them. They're gone from having a good sized gallery to having a monstrous sized gallery and for me, it's nice because it's allowed me to grow with them. So for me, it's really quite an exciting journey to be in at this point with them. 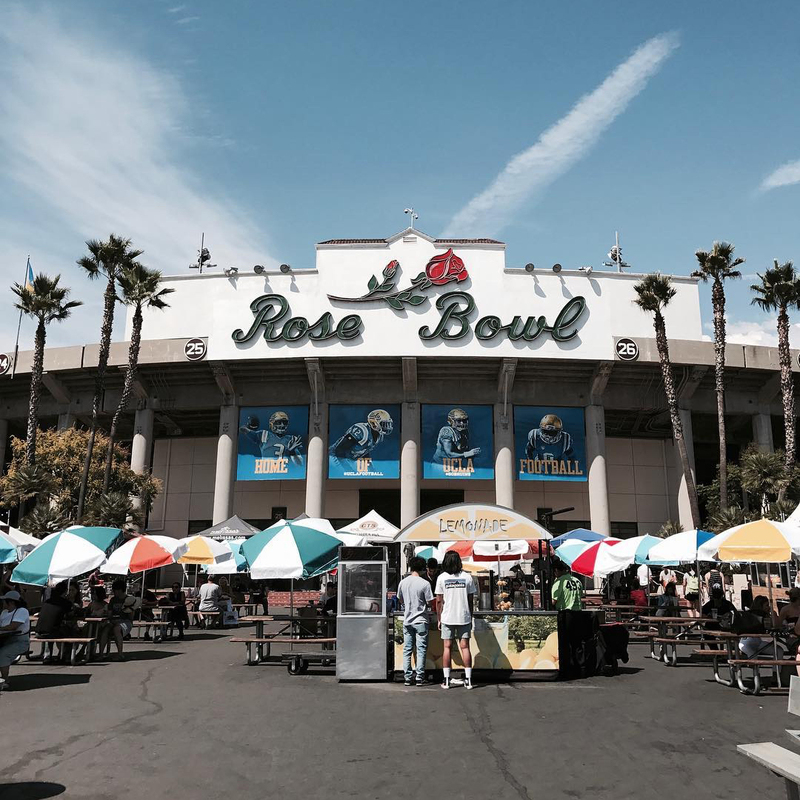 D*Face: When I can time my trips with the Rose Bowl Flea… that’s the highlight for me. I love to go flea shopping. Vietnam Era is really nice. It's fun to dig. 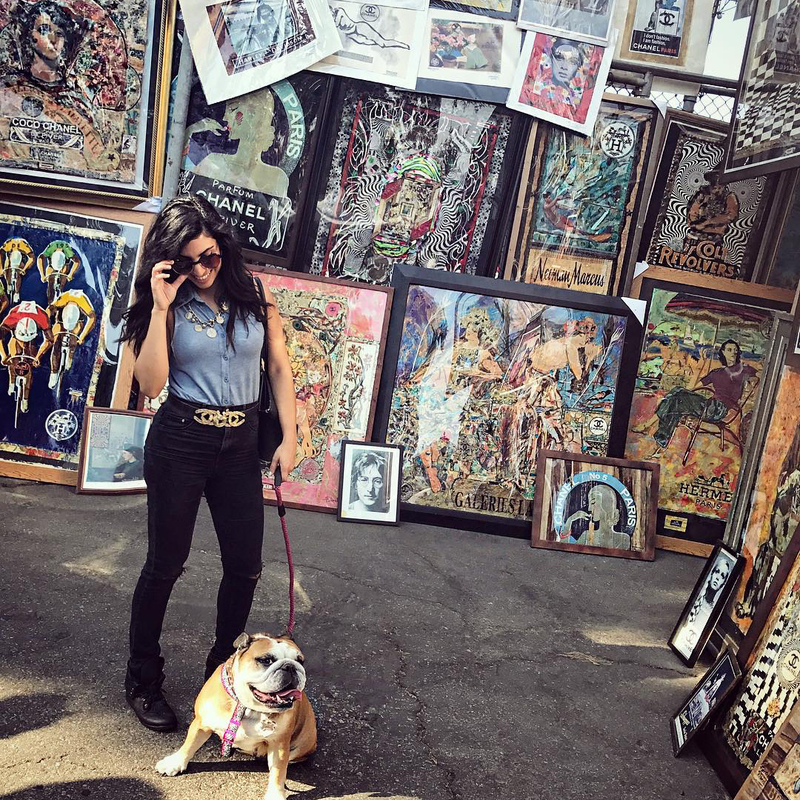 The Flea Market on Fairfax is great too—I love that. 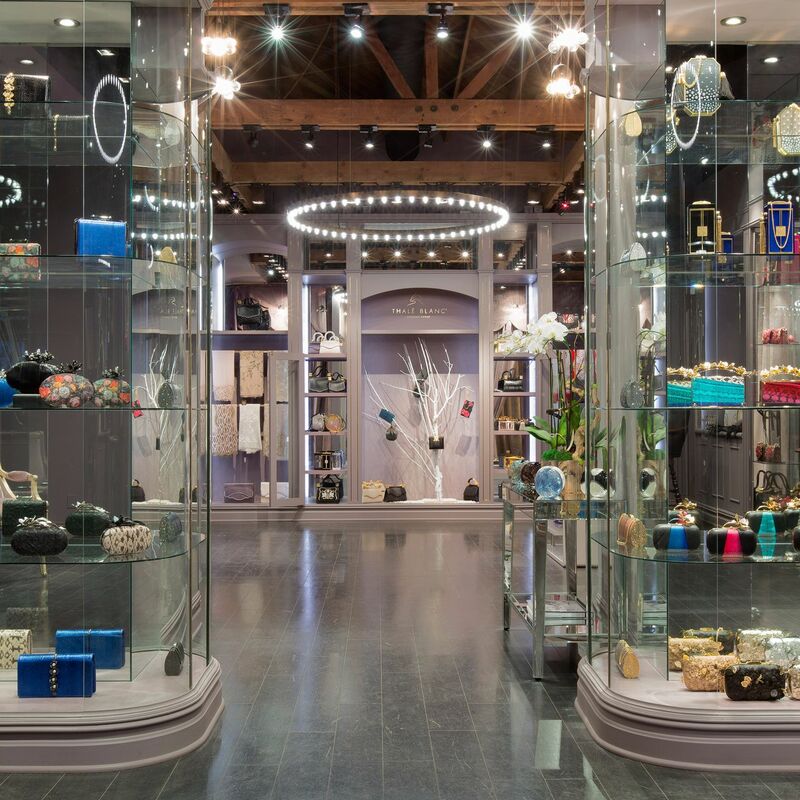 D*Face: My friend owns a pretty dope shop called Thalé Blanc on Melrose. It's really an inspirational place to go. She builds wallets, they're particularly artistic and pretty much everything from there is handmade in a beautiful manner. D*Face: Studio Number One/ Subliminal Projects are great. Shout out Shepard Fairey because he's been such an inspiration for me and helping me with my career for a long long time. He's a good friend. The artist king of LA. D*Face: All of these places are awesome. 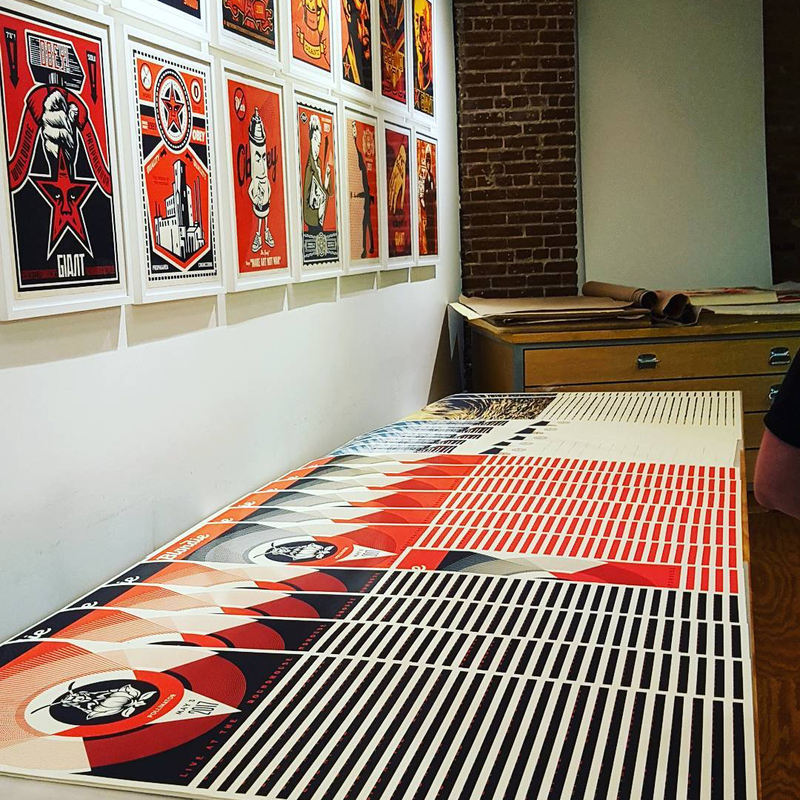 Local gallery created by Shepard Fairey promoting a range of contemporary art, including street art.